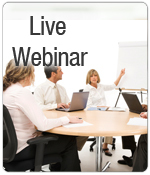 CRI's live webinars qualify for one hour of HRCI credit. If you're worried about making a particular date, don't be! We'll gladly work with you to make sure you're able to attend your webinar. In the case you can't make it, we'll gladly reschedule you for a future date or allow you to take a different webinar in its place. Likewise, we'll be glad to give you access to a recording of the webinar if you can't attend. The 4 for 3 special is our most exciting promotion yet! 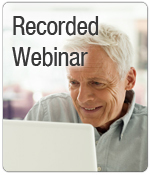 Each of our webinars costs a nominal $195.00 when purchased alone. However, if you purchase three webinars ( $585.00) we'll include a fourth one free! Feel free to mix and match! You can combine both live and recorded webinars. CRI's recorded webinars offer the busy individual maximum convenience, however they do not qualify for one hour of HRCI credit like their live counterparts. The content, however, is the same. When registering for a recorded webinar, you will be sent an e-mail with instructions on how to view the presentation within minutes of signing up. 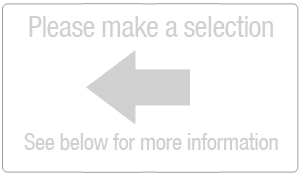 If you do not receive an e-mail, please contact our technical support department. No live webinars are currently scheduled. Take advantage of our money-saving promotion! By purchasing three webinars, you'll receive one completely free! Click here to find out more about the four for three special. The "Claiming Tax Credits" manual was created as a clear, concise resource for employers informing them of the various types of tax credits, who may qualify for tax credits, and ways an employer may apply for available credits. It notes primary sources in which to find said information as well as ways in which we assist our clients in determining the status of applicants in relation to job tax credits, with our up-to-date resources. We assist in keeping your company or organization EEOC and OFCCP compliant and look for ways in which to increase your overall ROI. Click here to find out more Claiming Tax Credits. The Employee Policies and Procedures Manual will help your company focus on the things that matter. Don't get bogged down with the problems of not having an employee handbook. We will provide you a template you can customize to your needs for the nominal Price of $65. Click here to find out more about the Employee Policies and Procedures Manual.